So before I left for my family trip to Minnesota, I painted my nails in the perfect summer colour: coral. I then added some elegance with a gold glitter gradient. I loved how this combination looked. It was just so pretty! 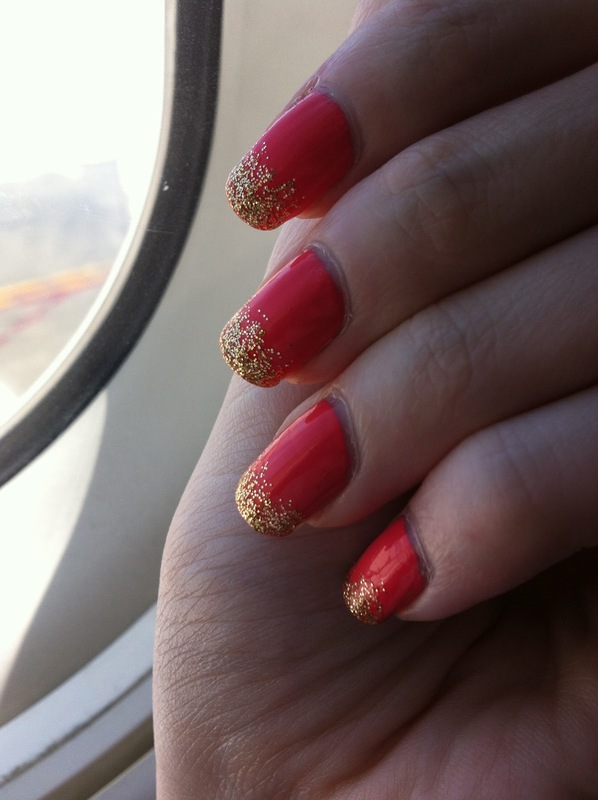 I couldn't stop staring at my nails...and I had plenty of time to do so while on the plane from New York City to Minneapolis! 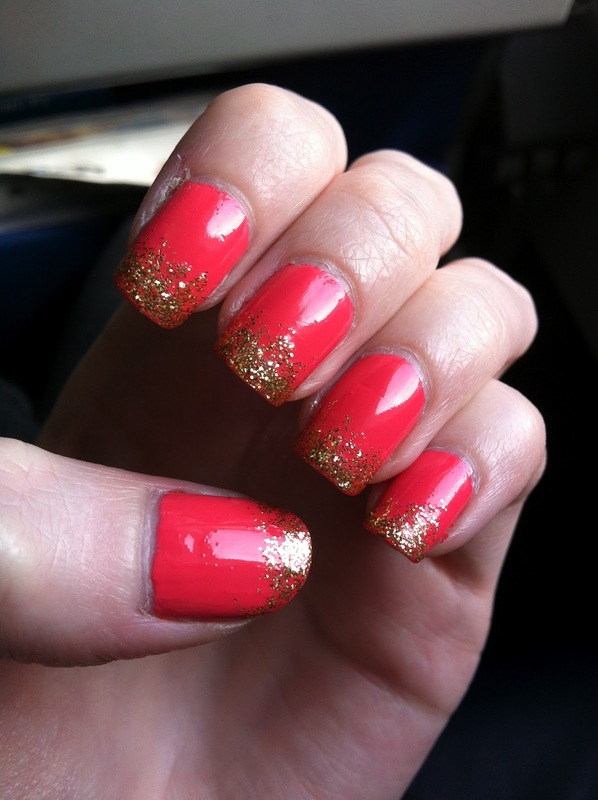 I used Sally Hansen's Peachy Breeze for the coral base & Julep's Oscar for the gold glitter. I call the above pic my airplane necessities. Cup of coffee, lipgloss, earbuds, scarf, & a book! On my way to Minneapolis, I had a connection in Milwaukee. While in Milwaukee. I went to a coffee place called Alterra for a Chi Latte & received the cutest coffee cup! It was covered in sugar skulls. I wanted to keep it but eventually threw it away, after taking several pictures of course. The lipgloss & earbuds are from my July Birchbox. I really have used so many of the products I have received from Birchbox! My book is a First Edition Nook with the Jonathan Adler Punctuation case. I have a small obsession with ampersands. && my scarf is a gold peacock print I got from PacSun a several years ago.